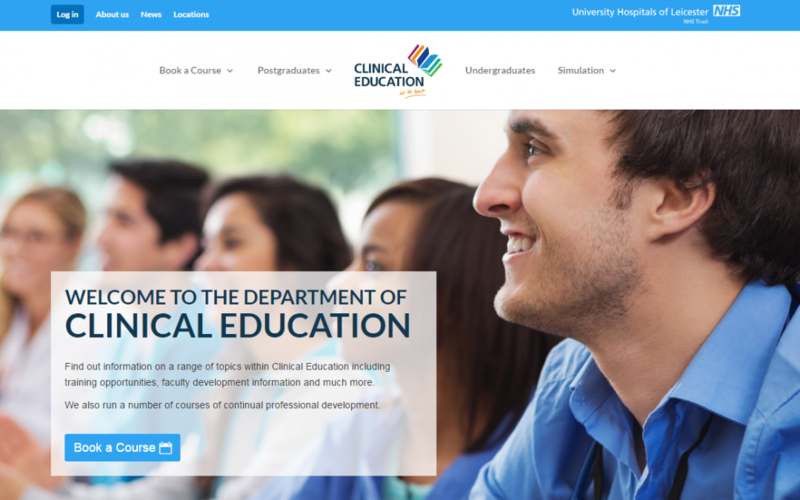 After months of planning and writing content the new website for the Department of Clinical Education. The development of this website is a huge step in raising the profile of Postgraduate Medical Education at University Hospitals of Leicester NHS Trust. The website is not a replacement for the Leicesterhospitals site but is an extension of this and will provide much more media content then before. If you would like to get involved in the development of this website, please contact Luke Ruffle (luke.ruffle@uhl-tr.nhs.uk).